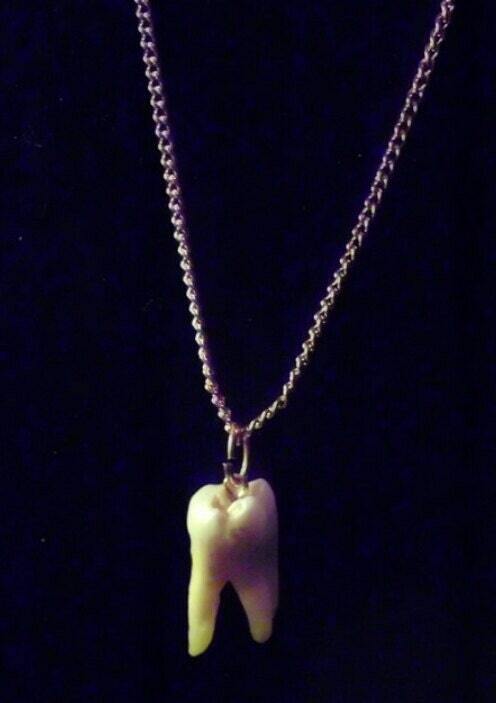 a real human molar tooth hanging from an 18 inch chain. Available with silver or gold plated hardware. human teeth are organic elements, each one is different so no two pieces are alike. This necklace comes standard on an 18 inch silver plated or gold plated chain, but we have other chain options. You can also have it on a longer 24 inch chain with slightly larger links (also silver or gold plated) or if you want something more unisex we can put it on a silver toned ball chain or a black suede cord. Please make a note on your order or convo us if you have a different chain preference. 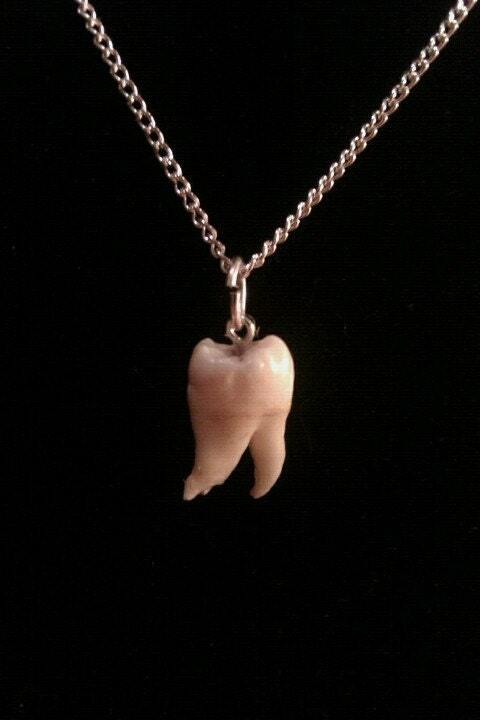 You will not receive the exact tooth pictured here, but one will be hand picked just for you. If you have preferences about your tooth (cavities or number of roots perhaps) please convo and I will try to accommodate you based on the teeth I have in stock. all of our teeth are ethically acquired.